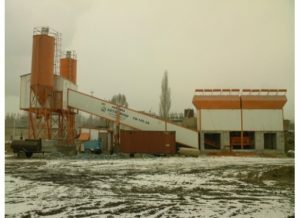 The concrete mixing plant is usually built next to the construction site. It is mainly used on a certain project. The general configuration is relatively simple. The concrete needed for the production of this project can be satisfied, and the buyer is mainly used to produce concrete for personal use. The purchaser of commodity concrete is to sell concrete in the future, mainly to do the business of selling concrete, according to the different requirements of the demander, to produce the corresponding concrete to sell to the customer. Therefore, generally speaking, the general configuration of commercial concrete equipment is relatively complete, so that it can meet the needs of different customers. 1 According to the different kinds of additives, the number and form of the admixtures designed for different cement labels (whether fly ash is added, etc.) or the difference between the size and number of cement tanks. The type of admixture used for general engineering and the number of cement marks are small, and the design of admixtures and the number of cement bins are correspondingly smaller. Not necessarily, see engineering needs. 2. The general engineering concrete does not require external seals, etc. The structure is relatively simple; the commodity concrete is generally sealed, and the customer pursues beauty and environmental protection, and the structure is relatively large. 3. In the case of the same production volume, the price of general commercial concrete mixing tower | Shanghao plant | concrete mixing plant is higher, which is a high allocation.